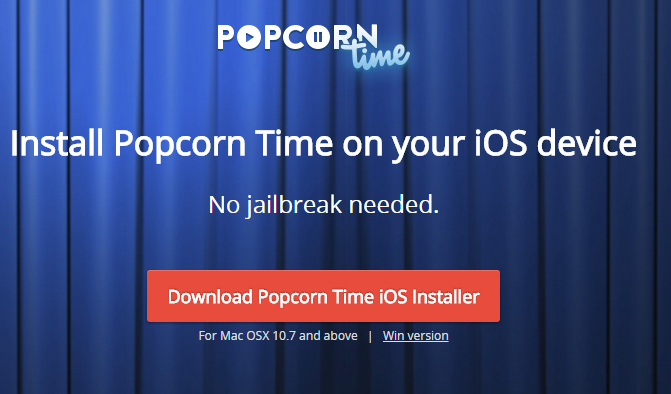 The guys at Popcorn Time have continually pushed to cover as many bases as possible, and having released a fork of the movie torrent streaming client for non-jailbroken iOS devices a few weeks ago, has now pushed a version that allows Mac users, as well as PC owners, to install the app on their iPhone, iPod touch or iPad. Before, the installer was Windows-only, so anybody wanting to kick back to some Popcorn Time on iOS would require the assistance of a PC, but as of right now, those of you on OS X can join in the fun. Popcorn Time has been labelled as the “Netflix for Pirates,” and given that its main feature is the streaming of copyrighted Hollywood movies, it’s hard to dispute this assessment. Only a couple of days ago, a UK High Court judge ordered that ISPs block access to sites that offer the many versions of the app up for download, and while this whack-a-mole approach should certainly be filed under the ‘tried-and-failed’ category, the target on Popcorn Time’s back seems to be increasing with every day. Yet, Popcorn Time’s development team doesn’t seem too bothered by the attention, whether good or bad, and defiantly, hopes that the Mac installer will help push the app over the one million mark for the number of iOS devices reached. One million installs on iOS would be a very impressive feat–one that Netflix and its competitors and wary of–and while many of the so-called pirates using the software probably wouldn’t have paid for a legit means to watch their favorite movies, there’s no question that a large portion would otherwise be paying subscribers. But even though Hollywood is and will continue to kick up a fuss, history states that it is fighting a losing battle, and you only have to look at The Pirate Bay–which was first raided a decade ago by the authorities and, most recently, five months ago–to realize that file sharing is an inescapable by-product of the connected world whether legal or not. But I digress; if your morals do stretch to installing Popcorn Time on your iPhone, iPad or iPod touch, you can now get started even if you’re on a Mac. To do so, follow this link to grab the installer, hook your device up to your Mac, and after running through the instructions, you’ll be ready to go. 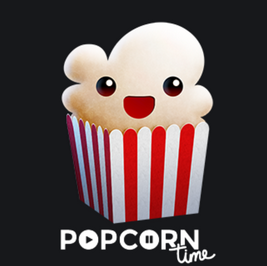 Like The Pirate Bay, Popcorn Time is entertaining to follow and also refreshingly unfazed by media attention. One has to wonder where and when the fun will end, since, as the UK judge noted last week, the software offers no legitimate use and is solely in existence for flagrant piracy, but we’ll keep tabs on its progress and let you know of any new or interesting developments in the world of Popcorn Time. You Can Now Run Popcorn Time Right From Your Browser!